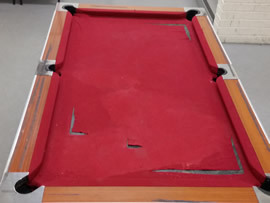 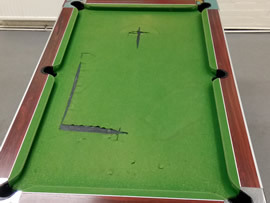 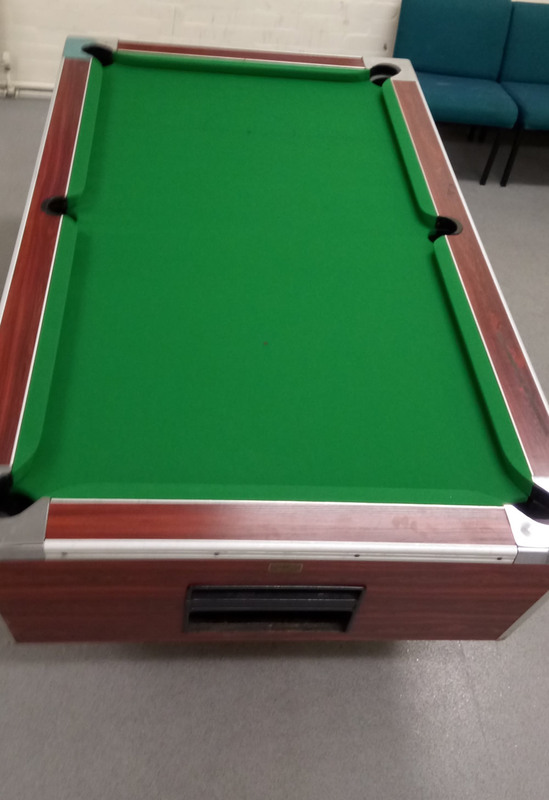 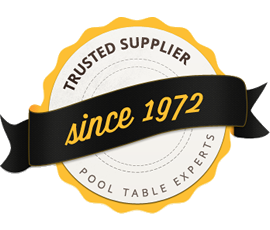 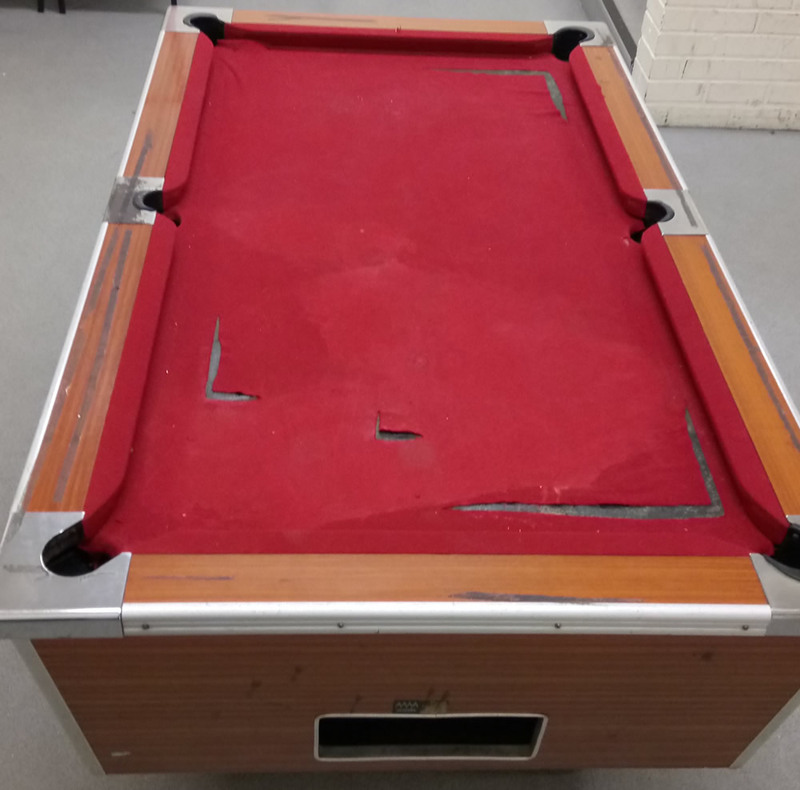 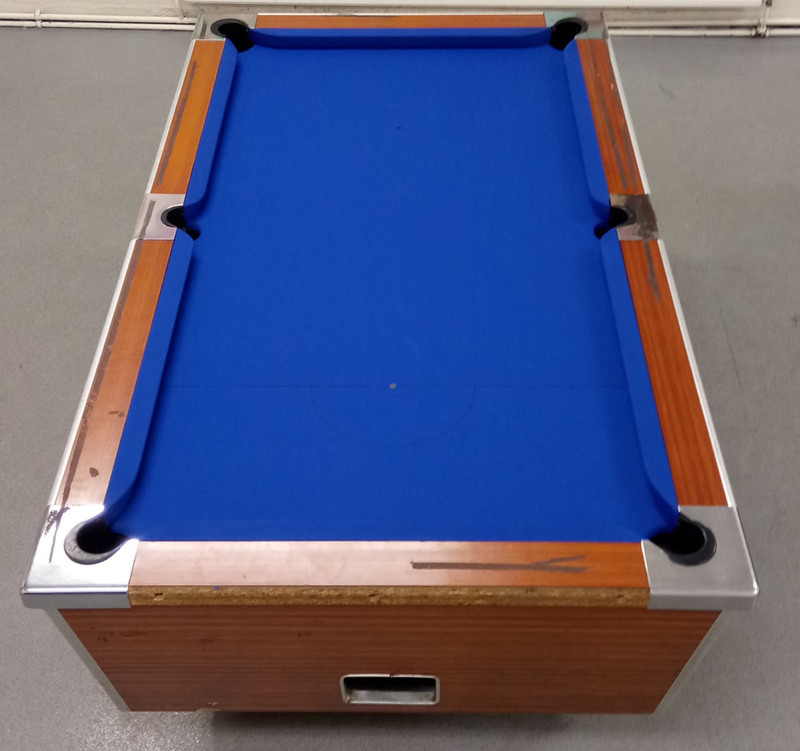 A young people's resource centre had two pool tables that were in urgent need of recovering. 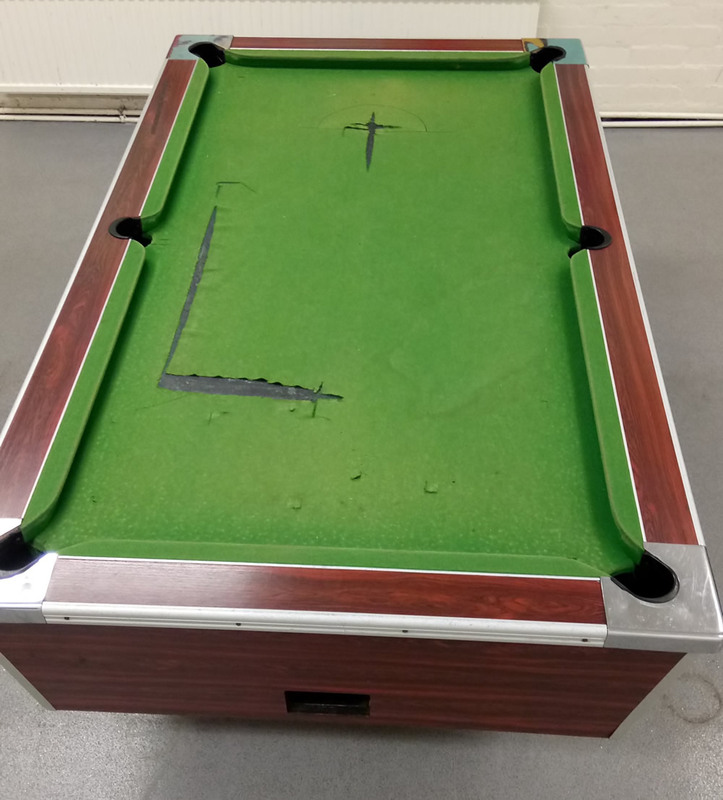 The pictures sent to us confirmed they were very old, probably between 35-40 year old classic HGM pool tables, one was a 6ft table and the other a 7ft x 4ft. 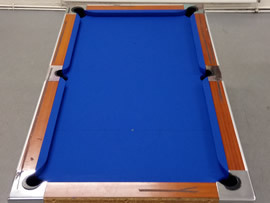 We were able to offer a recover at keen prices of 1 in blue speed nylon and 1 in green nylon. 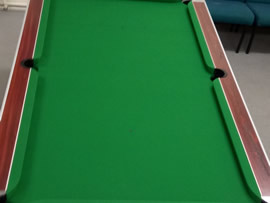 The transformation is stunning and greatly enhances the playability.